We are not a fly-by-night investor or your typical “we buy houses” company. We are local San Antonio Texas cash home buyers. We love helping homeowners like you who want to sell NOW! There are many people out there who will offer to buy your house. NONE of them bring the heart and experience that we do. That is a promise to you! Honesty, integrity, respect… these are just a few things we bring to the real estate industry. Selling your property hassle free is an important step in your financial life and you should be able to count on an easy process and a fair deal. We do what we do because we love to help people. We are always fair and will work with you to find a solution… even if it isn’t selling to us! We are tired of seeing people losing their homes to the bank or selling too low out of desperation. When you’re looking for trusted home buyers with cash, start the process today by filling out the form above. We have helped many who was stressed and wondered “is there a way to sell my house fast without making repairs?” And the answer is Yes! We (VW Properties, LLC) have purchased over 100 houses in the last two years alone. Our success comes solely from our experience, streamlined processes, and a genuine motivation to help people at a time when they need it most. A direct sale to a buyer like VW Properties, LLC, can be the absolute BEST decision you can make. We have been in your shoes! Being able to move on with your life quickly, while saving money during the home selling process, made it a no-brainer for us! We can buy your San Antonio house. Listing is not always the right choice for everyone. For a house to successfully be listed on the MLS, it needs to be competitive with other houses on the market. This can require extensive repair and upgrade costs. Costs that you will have to pay out of pocket, with no promise of return. It is a gamble. Is it one you want to take?Even if your house is in great condition, you might prefer to sell your San Antonio house on your terms. Listing your San Antonio house will likely require extensive patience. The whole process can take months and keep in mind, about 15% of sales fall through! You sell on the day you are ready to sell, on YOUR schedule! You will never have to pay a dime in agent commissions! You will not be responsible for any listing fees, photography costs or staging expenses. You will not have to spend any time or money cleaning up the house. You will potentially save THOUSANDS by no longer being responsible for the properties monthly utilities, property taxes, and homeowners insurance. Before you sign a listing agreement, find out what we can do for you! There is never any obligation! Dealing with foreclosure. Whether or not the banks have begun their process, we are here to help you! People who were getting divorced or separated. A fast and fair sale can ease a stressful situation, making the process easier for everyone. Feeling stuck with a property in need of repair. We are interested in ALL houses, including fixer-uppers! The unexpected owner of an unwanted inheritance. You shouldn’t have to spend money to sell it! We can help you with any difficult situation, including probate! Living in a house that was too big or too small. You don’t have to live in a house that isn’t meeting your needs! Moving for work or other personal reason. It can be burdensome trying to carry two mortgages. Sell your house now so you can move on in peace! We Buy Houses in San Antonio And The Surrounding Areas! If you are looking for a no-nonsense, straightforward way to sell your San Antonio house, we can help you! Are you ready to sell your house fast? 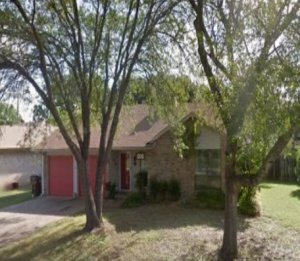 We buy houses in the San Antonio area! We are paying cash for houses right now! Before you list your house with an agent, learn about the many other options available to you! When you sell directly to VW Properties, LLC, there is NEVER any hassle or obligation! Find out how we can help you! Call today!